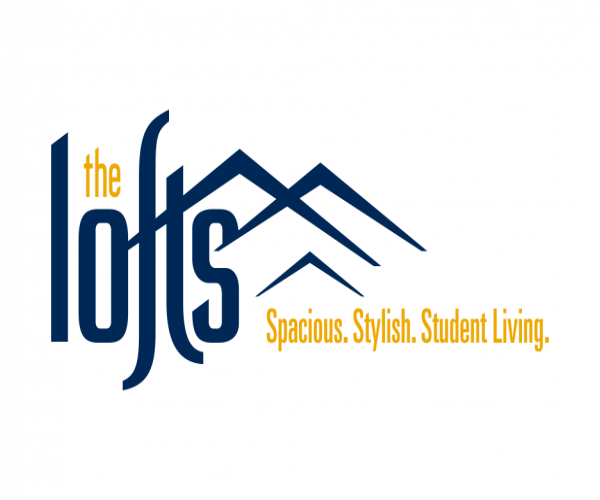 Your search for dog friendly apartments in Morgantown ends at The Lofts. With spacious apartments and amazing amenities for you and your canine, there’s no better community in town! Choose from several loft-style floor plans with 1, 2, 3, or 4 bedrooms and bathrooms, open living and dining areas, fully equipped kitchens, and a private balcony. (Two story penthouse units are also available.) Every apartment is fully furnished and has a full-size washer and dryer, saving you money and making move-in a breeze. Meanwhile, humans can enjoy a variety of community amenities, from our swimming pool and hot tub to our clubhouse and 24-hour fitness center. And when it’s time to study or catch up on schoolwork, our computer center with free printing is super handy. Need a ride to class or to the bar? No problem! We offer free shuttle service to all three WVU campuses every 20 minutes, as well as a nightlife shuttle to and from High Street on Fridays and Saturdays. With our high quality housing, club-style amenities, and pet-focused features, it’s not hard to see why The Lofts is the top choice for dog friendly apartments in Morgantown. So don’t hesitate; contact us today to schedule a tour. Once you see everything our community has to offer firsthand, you won’t want to live anywhere else!